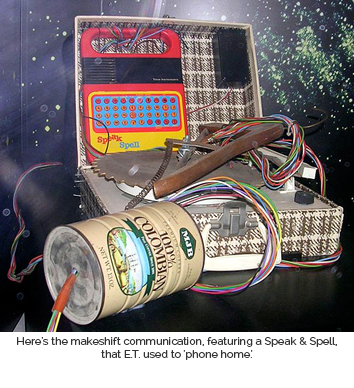 Speak & Spell was created by Texas Instruments’ Paul Breedlove in the late 70s and introduced to American markets in 1978. It went through several redesigns, but the basic idea remained the same: in a British-ish accent, the toy would ask you how to spell a word. 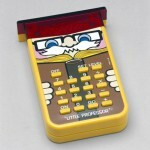 You’d type it in, and the toy would tell you if you were correct or wrong. Minigames, such as Mystery Word and Secret Code, were included in the original console. All of which must sound a little educational and dry to kids of the early 21st century, right? I mean, a SPELLING game? What’s fun in that?? The fun is in the voice chip. 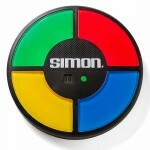 Speak & Spell talked to you. 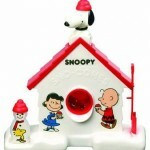 Unlike Chatty Cathy, Speak & Spell wasn’t just a dumb voice tape: it interacted with the information you gave it. Back in the day, this was wildly exotic. Kids in the early 1980s LOVED their Speak & Spells. Check out the commercial below that you just think you’ve forgotten; it’ll come right back to you. 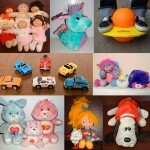 These totally rad toys became such a huge part of 80s culture that they appeared in music, TV, and movies. There is even a sub-culture that took them apart to make the most of their sound boards. Also, you could make it say dirty words. Hee. 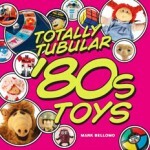 As testament to its popularity, Speak & Spell showed up in various forms of pop culture. Way trendy Depeche Mode named their 1981 debut album “Speak and Spell.” It has the delightfully catchy “Just Can’t Get Enough.” Love, love, LOVE it. We watched E.T. 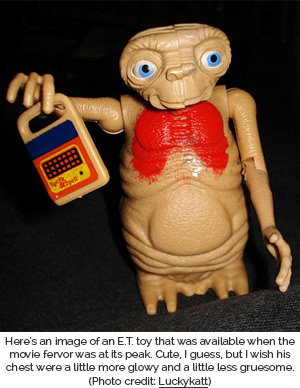 use it to phone home in 1982. Some electronically advanced people opened up the back panel and played around with the innards of their Speak & Spells, making new and bizarre sounds. Speak & Spell circuit bending was (and is!) a world of its own. Here’s a somewhat lengthy (but thorough!) discussion of Speak & Spell circuit bending and glitching, in case you’re inspired to give it a whirl. Skip to 7:15 to get to some cool roboto sounds. Domo arigato! Beck used a circuit bent Speak & Spell in his album “The Information.” You can even buy your own Circuit Bent Speak & Spell created by the same guy that made Beck’s here. Plus, you (or your kids) might see a Speak & Spell being used by the Penguins of Madagascar on Nickelodeon. TI followed up the Speak & Spell with the Speak & Math and Speak & Read, but they were nowhere near as fun. 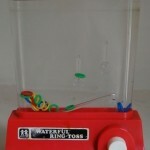 And of course, handheld electronic learning devices (and plain old toys) are all over the place nowadays, with superior graphics and vocals. 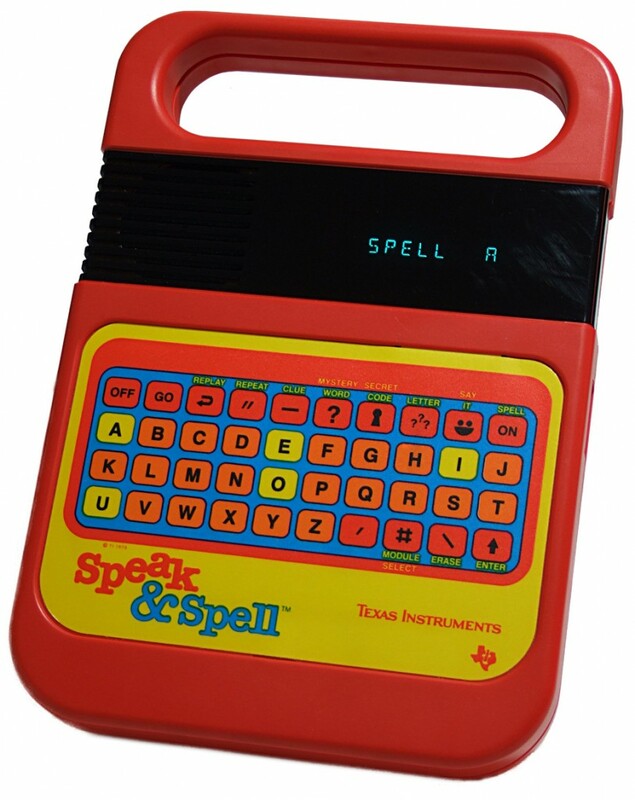 They’re cool and all, but let’s not forget that it all started with the good old Speak and Spell from way back in the early 80s.